Is X Factor’s Honey G racist? 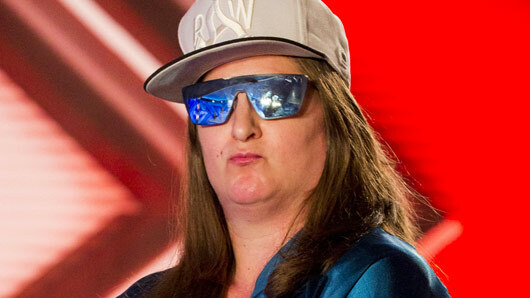 X Factor contestant Honey G has been accused of cultural appropriation. It was the first of the live shows on X Factor last week, and one stand-out performance was definitely Honey G’s rendition of “California” by Tupac, in which she incorporated some of her own lyrical verses. However, for many people it seems her performance stood out for all the wrong reasons. @TheXFactor using Honey G is cultural appropriation. Mostly, Honey G is not funny. Cultural appropriation and mockery is not funny. Rap and hip-hop music have historically been an outlet for black people to talk about issues such as racism and poverty during the 1970’s; a time in which their voice was struggling to be heard. As the genre began to flourish commercially, it eventually changed from music with a message to music for the masses. As white people have become more dominant as both the creators and consumers of hip-hop, some people feel the original roots of this music genre have been ignored, or even parodied. Is Honey G another one of these parodies? Perhaps the revelation that her act is potentially offensive might mean her days are numbered after all. What do you think?